Offering the largest selection of cupola kits and vinyl cupolas for barns, homes, metal buildings, and garages. We are proud to be the leading provider of cupola kits to both home owners and construction contractors. 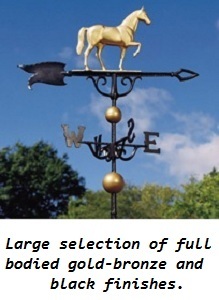 Our unmatched price, quality and service ensures that we will meet our customers needs for any size or type of cupola. We can add both style and function to any barn, shed, garage, or home. Contact us today with any questions you have. We offer cupolas made of a number of materials. Our vinyl cupolas are made of a maintenance free and weather resistance Azek PVC vinyl material. 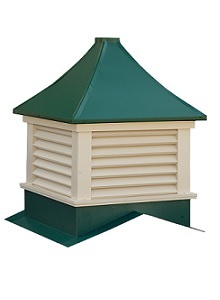 Our metal cupolas feature a base and rooftop that we can paint any color for you at no charge. 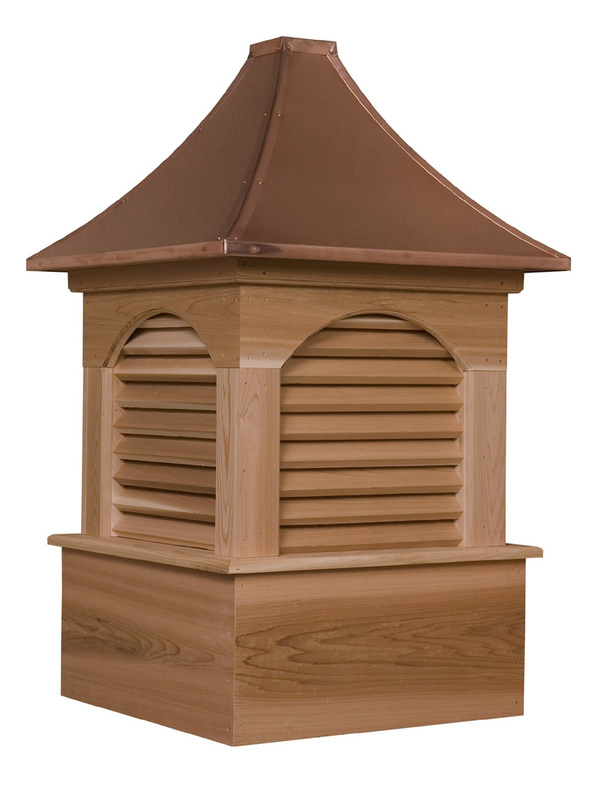 Our wood cupolas are constructed from the finest grade of western red cedar. 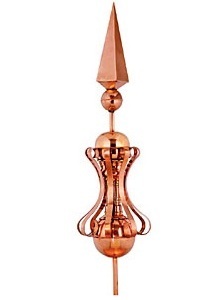 Our copper cupolas are made from a pvc vinyl clad in 24 gauge copper giving you that old world distinction. Take a tour of our Cupola Kits For Sale by watching this video that shows the elegance they can add to any building. Watch our Youtube video of our Cupolas Kits and pay close attention to the detailed craftsmanship that make our cupolas the preferred on the market. Our cupola kits come in three sections including the base, midsection, and roof. This makes for easier handling and installation. We are proud to say our products are handcrafted in the U.S.A. and our prices are unmatched. Our products are built to last using solid PVC vinyl(AZEK), red cedar, white cedar or solid white primed pine and have 100% pure copper roofs or aluminum metal roofs ensuring your barn, shed, pavilion, or any other structure will have a product adorning its rooftop that will last a lifetime. 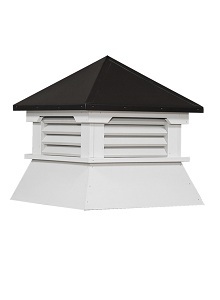 Our vinyl cupolas are completely weather resistant and maintenance free. 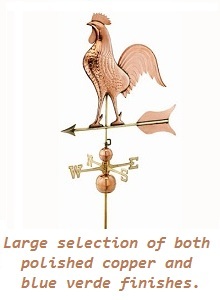 Our copper weathervanes are crafted using 100% pure copper and are weather resistant and maintenance free. Our extensive amish-made product offerings ensures that we will provide you with the elegance that you are wanting to add.